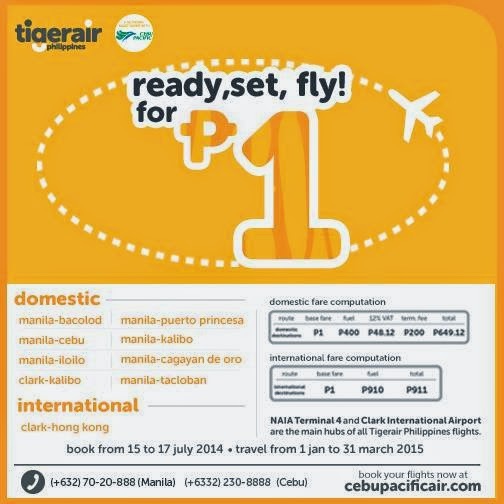 Piso Fare 2015: Here's the newest PISO FARE PROMO from Tiger Air for travel dates January 1 to March 31, 2015! So what are you waiting for? This is your chance now to book your tickets! Selected destination route is from Manila to Bacolod, Cebu, Iloilo, Puerto Princesa, Kalibo, Cagayan de Oro, Tacloban, etc! Pls. proceed to www.cebupacificair.com to book your tickets!